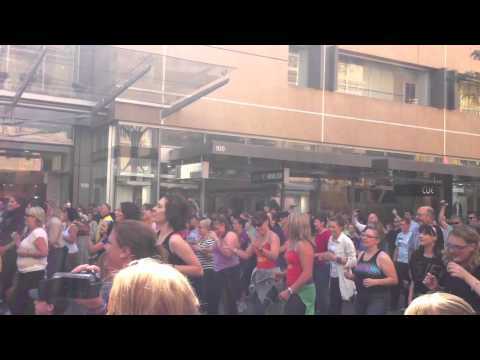 We try to organise a special flashmob each year for the Fringe. Have a look below for some of the mobs we’ve done for previous Fringes. If you’d like to receive information about upcoming flashmob events, join our mailing list. We’re starting to plan our 2012 Fringe event. If you’re interested in getting involved in the organisation, please contact us.